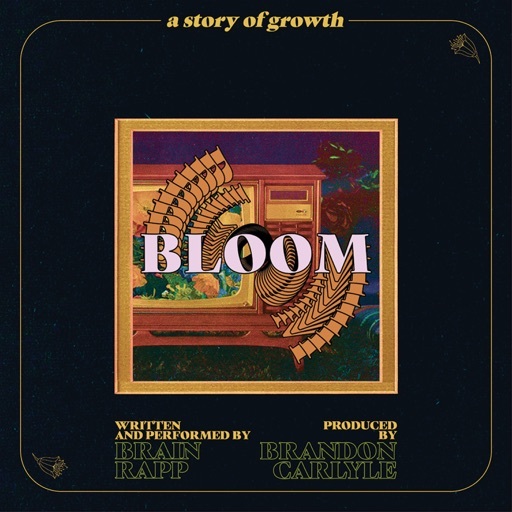 Brain Rapp subtitled his latest release Bloom as being "a story of growth." Over the course of the project, we are definitely given a growth--and keys to growth. By relating the path a flower takes to become beautiful and mature to the growth of an artist coming into their own (or just a person in general), Brain gives us a moving album about finding one's space and happiness in a sea of discontent and ill intentions. I previously discussed "Light" as part of that song's official release, and while it still stands as a highlight on the album, it only tells a part of the story, as it'd be easy--not to mention slightly cliched--to just say that this album is full of flower power and leave it at that. No, what Bloom does is show its listeners a path to a brighter day through its use of flowers, as mentioned above. Giving a step-by-step routine for elevation, Brain gives us a unique playbook on how to live our best lives. Check out the project below and remember to support dope music in all its forms.